James grew up in Bentonia and is said to have learned the Bentonia Blues style from Henry Stuckey. 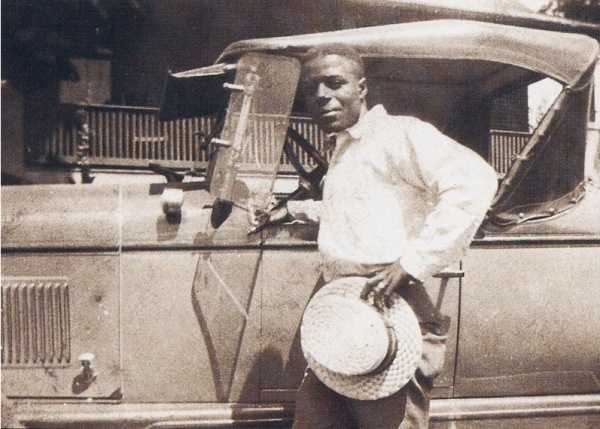 Highly emotive, often strange, James was one of a half-dozen virtuosos of Delta blues. He stood out from other artists not only because of his skill, but because of his courage in pursuing his creative vision when it went contrary to popular taste. With dark themes and sophisticated finger-picking, James helped redefine what could be done with three-chord music. Added to that was his superior vocal phrasing and wild piano playing. Whether because of religious background or personal hardships, his music usually reflected a dire outlook on life. One writer said it always seemed like night when Skippy sang the blues. The son of a minister, James for a while tried to find his life purpose preaching and singing in a choir, but he eventually returned to secular music. He finally gave up music altogether for a number of years. Re-discovered at age 62, during the mid-1960s blues revival, James was supporting himself at the time by working as a field hand; an astonishing waste of talent. Unlike a lot of other Delta bluesmen, James’ abilities were not lopsided in favor of either singing or picking. He was equally adept at both. James’ recorded performances are clean and solid. Just above the subtle ka-thunk of his rhythm you can hear the nicely shaped counterpoint of his fingerpicking. His balanced blues delivery is a lost art. The songs are built on the give-and-take between storytelling and playing instead of on heavy rhythm and melodic hooks.